The Dapper Duck is a four bedroom OBX vacation rental in Southern Shores. 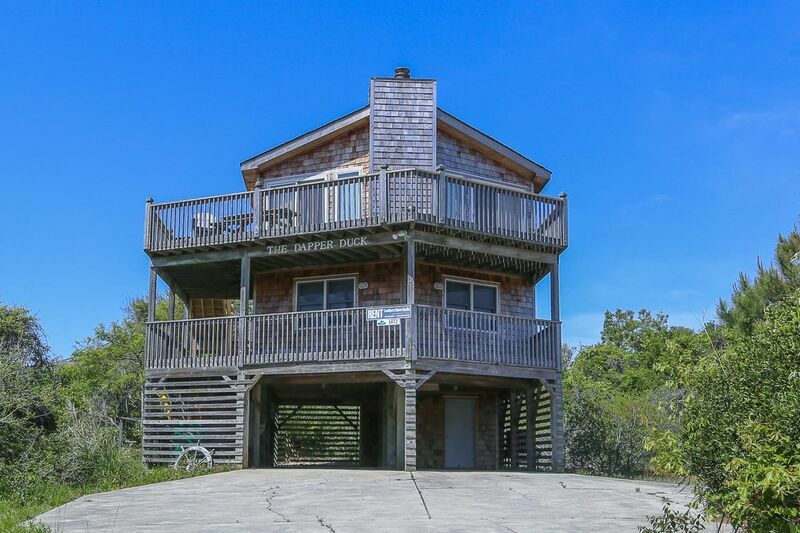 Located just 200 yards from beach access, this home features a wood fireplace and gorgeous ocean views from the upper deck. Its convenient location means that it’s close to Duck and Kitty Hawk attractions. 3 bedrooms (2 with Queen; hall bath; 1 with Twins); laundry. Great room with wood fireplace, CATV/DVD/CD player. Bedroom (with Queen) hall bath.